We are proudly an Australian organic gardening business. Parcels we send to you will be delivered by Australia Post. Sorry, but we will not ship overseas; we only ship within Australia. Welcome to your comprehensive Australian source of organic gardening supplies. We want to encourage the growing of food within our communities, our schools and our gardens. Green Harvest specialises in a range of rare, perennial food plants for Australian gardeners. 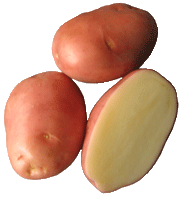 Now is a great time to plant: Garlic, Seed Potatoes and Strawberries. 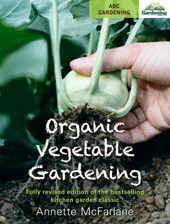 We use our expertise as organic gardeners and horticulturalists to pre-select for you the best books on any topic. Here you can find everything you need to grow sprouts and microgreens. Equipment, forage seeds, feed supplements and books that will make poultry keeping easier. We all like a bargain, this is where you can browse our specials, kits and reduced sale items. Autumn Green Notes Autumn: the time is right for planting glorious beetroot. A valuable plant for its delicious, nutritious root and brightly coloured, tasty leaves, beetroot is easy to grow and doesn't need much space in the garden. The Green Harvest Garden Shop is 7 km West of Maleny QLD in the beautiful hinterland of the Sunshine Coast. We stock an extensive range of seeds, rare edible plants and tools for the seasoned green thumb or a newly inspired food gardener. For the health-conscious and creative cook, browse our unusual kitchen aids and kits for microgreens and sprouts. Join us at our commercial 1 acre property which is home to the Green Harvest Organic Garden Shop, a rammed-earth building purpose built for longevity and energy efficiency. This beautiful building is surrounded by an abundant sub-tropical edible landscape. Gates open at 9 am for self-touring this delicious, edible garden and small nursery. At 10 am and 2 pm we will have a guided tour by Permaculture practitioners with over 60 years sustainability experience. We will cover organic gardening, edible plants and discuss your particular permaculture interests. Plants and seeds will be for sale along with our unique range of pest and tool products. I just needed to send you this short email to thank and congratulate you on your fantastic service. Your prompt, efficient attention in this day and age is very refreshing to say the least. It was only Tuesday this week that I placed my small order with you and today, Friday, it has arrived safe and well after being carefully packed and packaged (Jerusalem Artichokes hand wrapped in tissue paper...wow!).... all the way from Queensland. Tomorrow they will be planted out into a well prepared but freezing Canberra garden. Let's hope they will cope! Thank you again and I look forward to my next order from you.